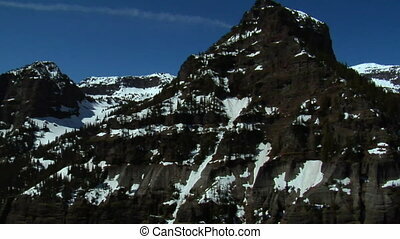 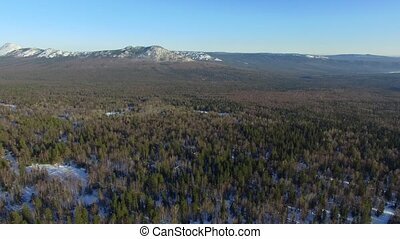 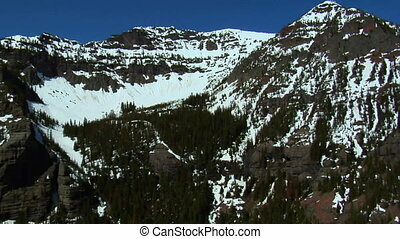 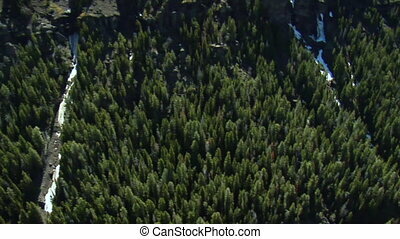 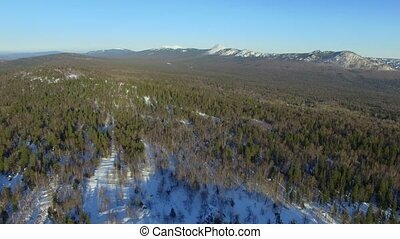 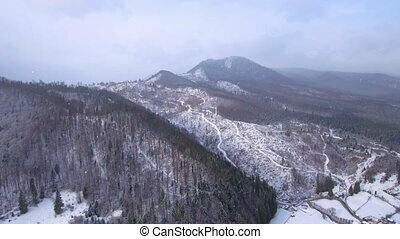 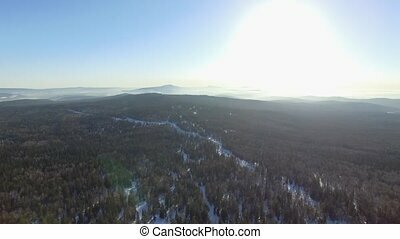 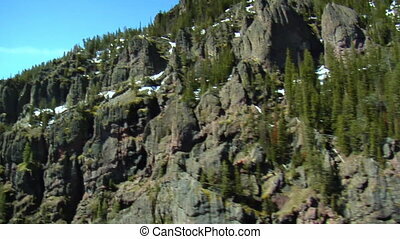 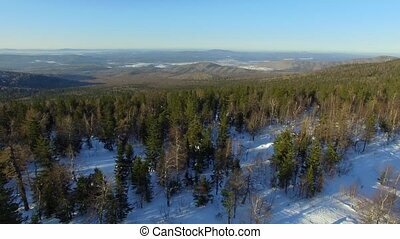 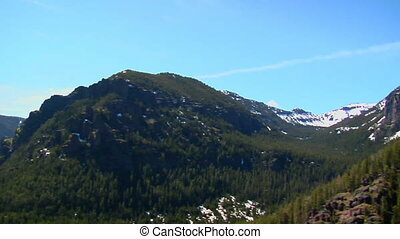 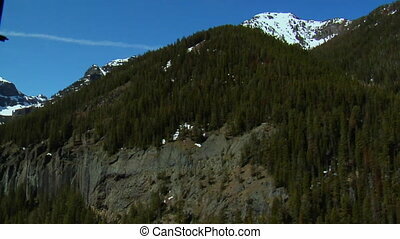 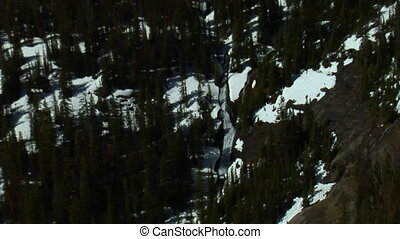 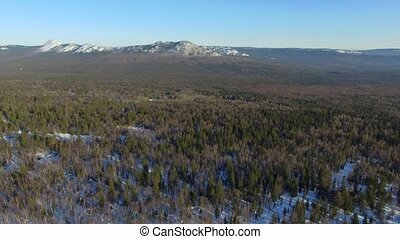 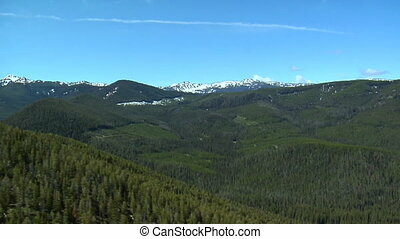 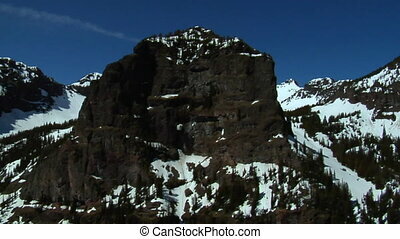 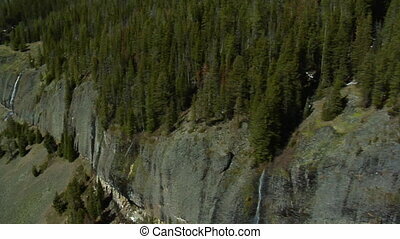 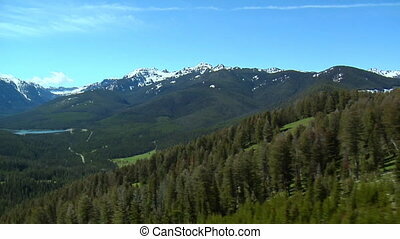 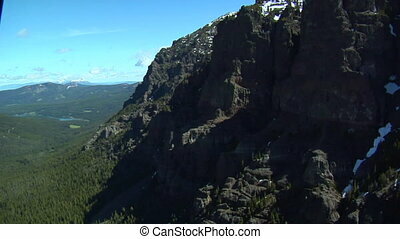 Aerial shot of mountains with rock faces, snow and pine trees. 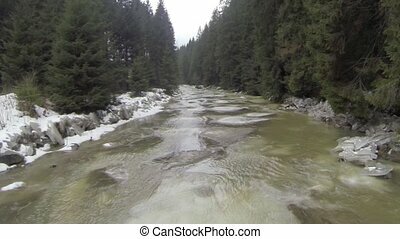 Timelapse video of sunny day in winter snowy forest with snow pillows on rock in Alps mountain in Austria. 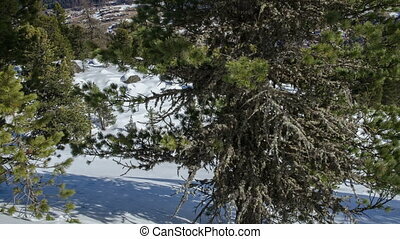 Dolly shot over pine tree right to left zoom in. 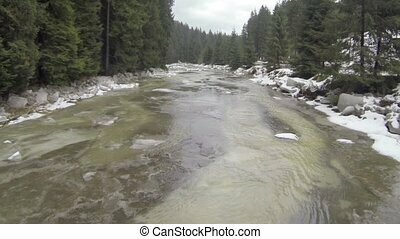 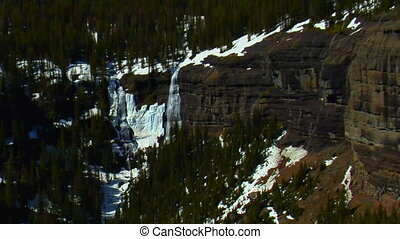 Aerial shot of winter water steam on mountains river. 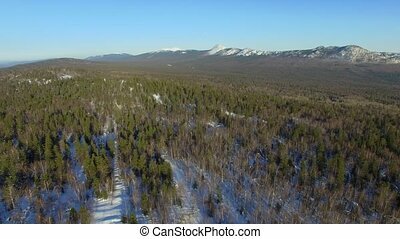 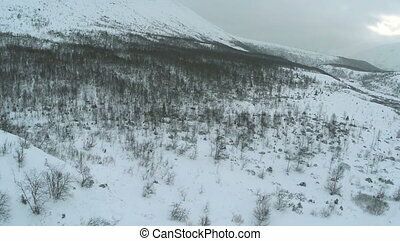 Aerial view of winter Taganay Mountains ridge. 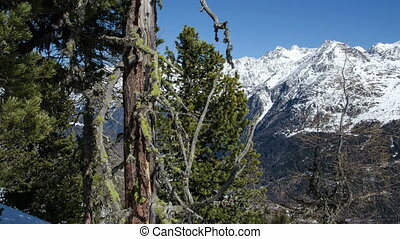 Timelapse video of moving over old pine tree with moss in snowy forest in winter alps mountain. 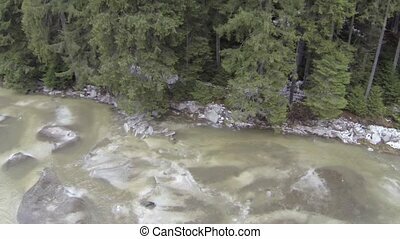 Dolly shot up to bottom. 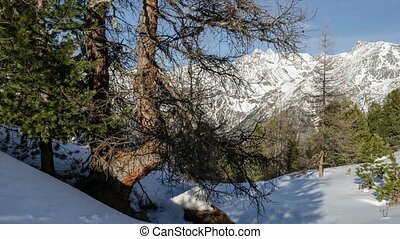 Timelapse video of moving trees shadows over snowy forest in winter alps mountain. 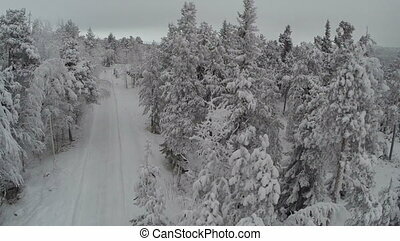 Dolly shot left to right down with zoom in.